I clearly remember reading that Marvel Team-Up! I had the good fortune to meet Herb a few years ago at a show. Since it wasn't a huge event, I got to chat with him a few times, even showing him the rough draft of a comic I was working on. He took time to look at it, running his finger over the panels, telling me that I was clear in my storytelling. Those moments with him meant the world to me. Thanks for sharing your thoughts, JM. And thanks for sharing yours. Javier. Always loved Trimpe's Hulk, but it was his Godzilla that Marvel did that was my favorite. That and Shogun Warriors. His style is always so dynamic especially when drawing things that are so much larger than life. I think I'll re read my Godzilla comics this weekend. I forgot about his GODZILLA work, Douglas. 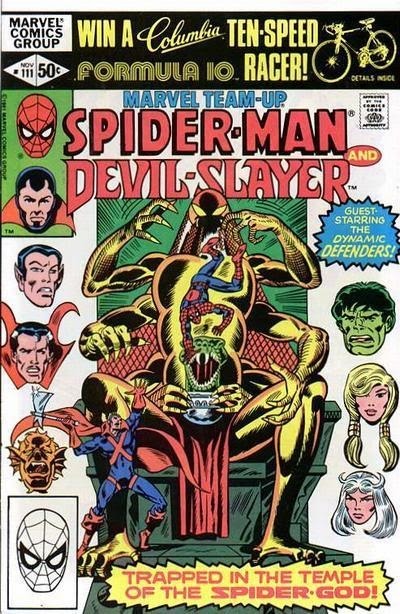 Herb—like Mike Ploog and Bernie Wrightston—was born to draw monsters! Power Record adapted that particular issue of Hulk & when I discovered comic shops and the [gasp] concept of back issues that was the first one I hunted down. Herb drew it better than I envisioned it! He had that Kirby dynamism—and yet a style that was distinctly his own. Just read this; http://www.nytimes.com/library/national/010900edlife-56-edu.html I feel a little depressed now. What a bummer. Yes, Herb had a rough time of it for a while. But what's great is that he bounced back. The freelance life can be a rough road sometimes, as all of us out here in the trenches know. Sad that another comic book creator that was a major voice in the industry back then is gone. 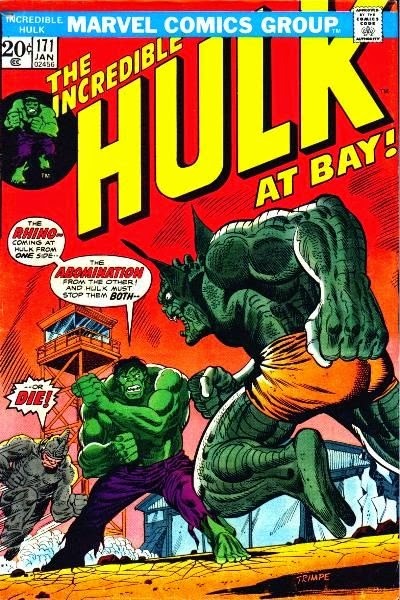 The Hulk cover actually belongs to the first issue of Hulk I ever bought. I think it contained three different Hulk stories, including the one on the cover (it was published in Europe). I instantly loved the stories, and Hulk become one of the most popular characters in my country until they started publishing reprints. For someone who was only 7-8 years old, there was something about the character I couldn't resist. Hulk in those days was so different from how they portray him today. I'm not current on portrayals of the Hulk, Tim, but the Hulk I remember best was a giant, misunderstood child with a VERY bad temper. I think that's the Hulk you're talking about. And no one drew him better than Herb Trimpe.